Want To See BIG Savings in Your Bank Account and Cash in Your Hands? Do you want to see your wealth grow but find that you are barely meeting your financial obligations as it is? Would you like to sit back and enjoy having wealth and money to truly enjoy the luxuries of life? You feel you are deserving of having the money and the grand lifestyle you have dreamed of for so long. You have worked long and hard, and you grow impatient until you see a vast amount of money in your savings account. You want to “feel” cold hard cash in your hands and know there’s plenty more where that came from. While others dream of money, wealth and success, you want to live it! And you’re ready to live it now! 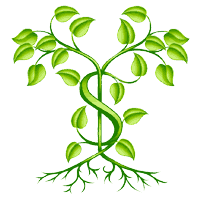 If the above statements accurately reflect you and your current state of mind, ask Jean Claude Swann to cast the See My Savings Grow spell in your behalf.